Religious Zionists today face an existential crisis. Their role as a positive pivotal force in Israel is doomed unless they absorb the lessons from the setbacks and failures from the past year. If they are unable to realign with the people and fail to renew their former primary role as a constructive force strengthening the Jewish identity of the state, they will simply become an irrelevant isolated fringe group. That would be tragic for the nation because even today religious Zionists represent one of the most devoted and patriotic segments of Israeli society. The statistics attesting to the disproportionately high involvement of their youngsters in combat units in the army is only one aspect of their crucial role. They are the cement binding disparate factions in Israeli society, ranging from the ultra-Orthodox to the secular. They also stand out as beacons of idealism and committed Zionism in a society which has become increasingly dominated by consumerism and self-gratification. Religious Zionists also represented the modern Orthodox component of the Israeli religious sector whose goal was to synthesize modernism with Judaism. In contrast to haredim, who are inclined to isolate themselves in self-imposed ghettos and vie with one another to demonstrate greater stringency in applying Halacha, religious Zionists made a virtue of moderation and reached out to the non-religious sector. The wearers of crocheted kippot also assumed a crucial role in the Diaspora. With mushrooming assimilation and intermarriage many Diaspora religious Zionists have assumed an indispensable leadership role in a vast variety of positive Jewish activities and organizations. ALAS, OVER the past few decades, the National Religious Party, the political extension of religious Zionism, became transformed into a one-dimensional party concentrating virtually exclusively on settlements. Its traditional primary objectives of nurturing Jewish values and maintaining a positive religious image throughout the nation were eroded. In a word, by gearing all its efforts toward retaining the Land of Israel it neglected the soul of Israel and became increasingly dominated by messianic visions. Inevitably this led to a full-scale rejection of modernity. Some rabbis arrogated to themselves the role of arbiters of Israeli political and security policies which they crudely transformed into halachic edicts. It followed that if the policies they promoted were divinely sanctioned, God would ensure that His will would be upheld. These rabbis began prophesying miracles and told their followers to expect God’s direct intervention. What only a few years ago would have been sacrilegious was proclaimed by some misguided rabbis to be a halachic imperative even overriding dina d’malchuta dina – the recognition that obedience to civil law is mandatory. The rationalization was that if the government was rejecting God’s will, it was the obligation of pious Jews to reject the “idolatrous” state. Hence the calls for insurrection, violence and exhortations to soldiers to refuse to obey orders. For these national religious radicals, the pendulum had swung to the other extreme. They not only ignored the soul of Israel but, in the name of a higher order, directly confronted Zionism. Their devotion to the land had mutated into a radical and simplistic worldview. Most Israelis were astonished to observe that a substantial proportion of the settlers seemed to have been persuaded that a miraculous Divine intervention would unquestionably thwart Prime Minister Ariel Sharon’s plan. One chief rabbi even went so far as to reserve the largest banquet hall in Jerusalem for a thanksgiving celebration on the date that disengagement “would prove to be stillborn.” Needless to say, this obscurantism and primitive reliance on miracles was a prescription for ideological disaster. When the silent majority of the religious Zionist mainstream became aware of the extent to which radicalism and the rejection of modernity had penetrated their ranks, they were shocked. But while dampening the irresponsible calls to reject the authority of the state, most responsible rabbis and leaders failed to publicly condemn or confront those who were exploiting the halachic vehicle and religious sensitivities in pursuit of their ideological goals. 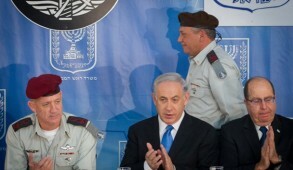 Even criticisms of the calls by former chief rabbis to disobey military orders were muted. 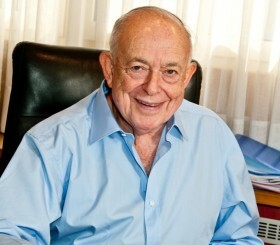 The notable exception was Moshe Kaveh, the president of Bar-Ilan University. IN ISRAEL there are up to 750,000 Jews who in the broadest definition could be classified as religious Zionists. If the radical elements will not be confronted, the new breed of hardalim (haredi nationalists), who are being increasingly absorbed into the haredi sector, will inevitably dominate the religious scene. Such a scenario would be a disaster for the entire Jewish people. 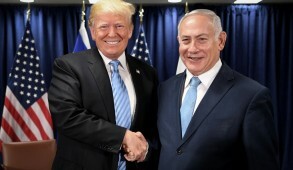 It would result in the alienation of large numbers of the current religious Zionist support base who would never be willing to associate with those who seek to disconnect themselves from the state, refuse army service or become another wing of the haredi isolationist sector. THE REALITY is that Israel is now undergoing a profoundly bitter Kulturkampf or cultural civil war. The final outcome will determine whether Israel is to be a Jewish state or a “state for all its citizens,” a state devoid of Jewish values. 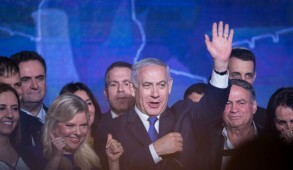 The appreciation and understanding of the Jewish heritage shared by Israel’s founding fathers is absent from a substantial proportion of the new breed of Israeli political leaders. In many cases their Jewish values have been diluted to such an extent that they could be described as Hebrew-speaking Canaanites rather than Jews. To counter these trends as well as maintaining their role in the wider community, religious Zionists must reconnect with the broader Jewish world. They must reverse the trend to haredization within their own ranks and renew the encounter with modernity; they must distance themselves from those who promote a simplistic black-and-white view of Israeli society; they must encourage the emergence of moderate rabbis and teachers to ensure that the younger generation is not radicalized; they should reject rabbis who try to transform political issues into halachic edits; they must strive to overcome the vulgarity and violence which has begun to infiltrate a movement that prided itself on tolerance and educating by example, rather than by coercion. 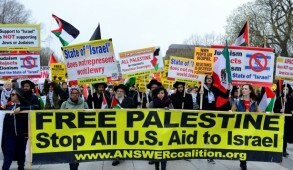 Above all they should revert to their traditional role as a force promoting harmony and unity within the Jewish people. They should once more renew a dialogue with other groups and endeavor to resolve issues relating to Halacha and the state in a manner which would minimize interference with the lifestyle of those who are non-observant. That will require a renewal of alliances with moderate secular and more open-minded haredi groups in order to stem the tide of secularization and strengthen the Jewish heritage at the educational level – in particular in the state system where Jewish values have been increasingly eroded. We should bear in mind that the “post-Zionists” are now in the process of regrouping. They narrowly failed in their efforts to hijack control of the state educational system before the intifada intervened. They had actually succeeded in infiltrating the educational curriculum by incorporating texts suggesting that “Israel was born in sin.” This will ultimately be the battlefield on which the destiny of the Jewish people will be determined. The post-Zionists cannot be defeated in the absence of religious Zionists willing to build bridges, seek solutions within a halachic framework to ease tensions between state and religion, and try to synthesize Jewish values in the framework of modernity.